Before Roex you had your own small space selling skates? How long did you do that and how was business going? I was working for Powerslide at the time and I had just spent a long time working on the Doop project. I really believed in it, but there was no pay raise or benefits other than passion in the idea and project development, as it was part of my job at Powerslide. I asked to start an online shop with stock for the brand, and Powerslide accepted. I was way over optimistic about the project, overestimating the market and the demand for the skates, and found myself 15,000 euros in over my head. I remember at this time I was getting maybe 1 or 2 orders a month, and sleepless nights wondering what to do. I ended up traveling to Powerslide and buying all their broken skates and returns for next to nothing, bringing them back to Barcelona (17 pairs of skates). I fixed them up and started selling them on second hand websites to try and make a little money to be able to pay back my bill. They sold very fast, and I saw a major opportunity for refurbished, ex-rental skates. I ended up buying almost all of Powerslide’s returns and samples and reselling them on facebook and on second hand websites. 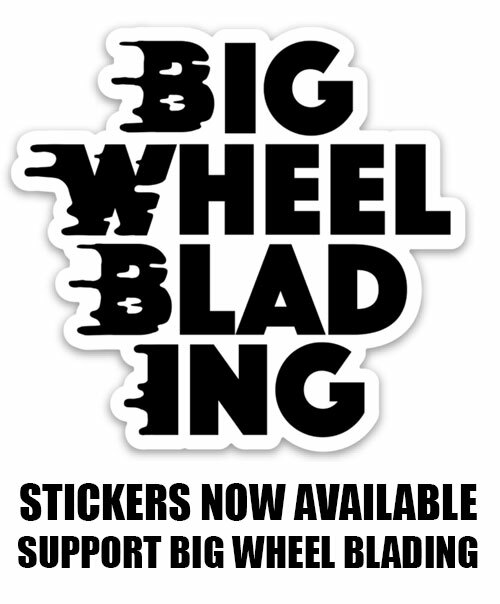 The logo was just a first page google .png template with a random font in it, “Roller Outlet” was desperation to pay bills with repaired skates and products no-one else wanted. By the time Roller Outlet turned to ROEX, the Doop shop that I had created was doing phenomenally well as the idea had taken off, but Roller Outlet was bringing in customers from all over the country, I had gone from almost complete disaster to being unable to manage the demand shipping out dozens of boxes a day. All this was literally from the basement of my house, I was making a fortune from disaster. How did the ROEX idea formulate? So I had gone from some dude selling skates from by basement to becoming a “shop” for many clubs to buy from. I had sold over 3000 wheels and hundreds of skates, by this point all the shops in the country had started to take notice and were really not happy, complaining to Powerslide. Add to this the fact that I was working for Powerslide full time, and it was just much too much for one person. So many shops complained to Powerslide that they had to ask me to quit one job or the other. While they were super happy I was taking all their returns, they didn’t want to anger so many people, which is completely understandable. I was at a crossroads. Should I quit my full time, secure job at Powerslide and start a shop front, or quit Roller Outlet and go back to emailing? I was so close to closing Roller Outlet when I was suddenly given a pay cut at Powerslide the same day that my now busines partner Joan rang my doorbell. We started talking, he had just left Decathlon where he was head of inline skating and teaching, had a skate school with 300 people and was looking for someone to open a shop with. It was just too much of a coincidence. His skate school was called Experience, my shop was Roller Outlet. We spent days thinking of a name, and decided on RO (Roller Outlet) EX (Experience Skate School) – ROEX. How long did it take to get the store up and running and get business in? Once we had decided, we miraculously found the location we have now the first day we skated together. It was where the Friday Night Skate starts, it was affordable and had a big square for classes. It was too perfect. We signed the contract barely knowing each other, and my part of the investment was all the stock from Roller Outlet, so we immediately had stock. We opened with my client list from Roller Outlet and his client list from Decathlon, luckily we were both quite well known in local circles and it went quite well from the start. Barcelona has a huge skate scene, How many other shops exist in Barcelona? Is there a lot of tension between the shops? Does the scene support so many shops? I think there’s about 7 shops at the moment. There’s no tension between most of the shops, the only one that seems to not get on with the rest is Inercia. Inercia was the major shop in Barcelona for many years before we turned up, I was a close friend of the owner and a team rider for a few years when working for Powerslide, but they didn’t take well to the new kids on the block. At the present time we have met and got on well with all other shops in the city, so in general I think the aim is to support each others existence by helping the skate scene grow together, we don’t hesitate to recommend other shops when we are missing items. I don’t think I realised at the time, but being near the sea is great. The big square in front of the shop for classes, the parking… all of this is crucial. You can sit outside our shop and have a quiet drink, have a skate, walk to the beach… it’s really perfect. We definitely don’t get a lot of random people walking by, but that also means we don’t waste a lot of time on drunk tourists thinking trying on skates is a hilarious past time. You offer lessons at the shop? How did that start? Did this happen since the beginning? How much do you charge? Joan was head of inline at Decathlon, he started all their skate schools and their sales in inline grew to new heights when he was in charge. He reasoned that people are too afraid to skate, they don’t know if they will like it. If you teach them for free and lend them skates, who could not smile with skates on their feet? It’s brilliant, and it works. 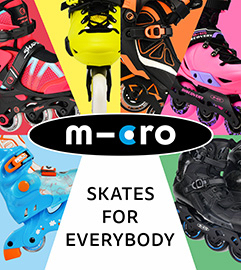 Every single class we do is completely FREE, we even lend high quality skates for FREE also. They said we were crazy… but it works. How many rollerbladers do you think live in Barcelona? I still see tons every day with Decathlon skates on, we get around 250-300 a week although many repeat, theres a few other schools… it depends on what a Rollerblader is, people that use them on a daily basis maybe 2000? People that own skates, thousands… the beach walks are always full of people with skates Who knows, it’s too hard to know!! Do you sell more walk in or online? I would say about 60% are walk in. How many people do you think come into you store on average during the week and then on the weekend? I think about 5-10 people come and buy skates on a week-day. On a weekend, we have about 200 people for the classes, it’s crazy. A Saturday for us is unique. Tons of kids, adults, beginners, advanced just packing the shop and the square outside. The Friday night skates meet at your shop? Has that helped business? Part of the reason for opening the shop where we did was because we were at the spot where the FNS started. We thought it was going to be great for us and extended our opening hours to accommodate that. It turned out to be quite the opposite, queues of people needing a frame bolt or just wanting to hang out, also so many last minute repairs on awful supermarket skates, keeping us up till super-late. We ended up changing our opening hours to avoid the FNS! Do you do any night skates? We do one a month in association with a charity. People come on our skate night bringing things they don’t need, like pencils, pens, books, dental hygene etc and we collect it all at the shop and send it to a charity, who then sends 2 containers a year to African communities with difficulties. You are the distributor of Flying eagle, does that give you any problems selling other brands? We Imported Flying Eagle for the first time because Rollerblade refused to sell to us. I imagine they will probably regret that decision forever. After we imported Flying Eagle, all other brands also stopped selling to us in fear of allowing a new brand into the western industry. We fought through it, played a very fair and clean game and ended up recovering Powerslide. Rollerblade still don’t sell to us and Seba stopped selling to us, but it was still the best decision we ever made, and are eternally grateful to Tracy Wang of Flying Eagle for all the support she gave us when were were just a tiny, persecuted shop. Finding us alone with Flying Eagle, we created Renegade Distribution as European distributors for the brand. For sure, not selling other brands and focusing on Flying Eagle made us the success that we are now. Renegade Distribution is now also the sales agent for Powerslide in Spain now, it’s a crazy turn of events that we’re still blown away by. Cess slide by the beach. Where do you see Roex in the future? Any more locations in the works? What countries outside of spain do you the most orders from? I would say France and England. Red fire wheels and Supersonic kits. Also we sell a lot of F6 Falcons. Did the store do as good? Better or worse then you expected? What did you expect? It is hard to put into words… there’s never a reason to use any kind of transport that isn’t your skates. It barely ever rains, there’s bike lanes everywhere, everything is on a mellow incline, you can go in any shops with skates on, it’s just incredible. I can’t do aggressive as much as I used to because of my health, but even then it was the best for that. Definitively, Barcelona is the inline skate capital of the world.